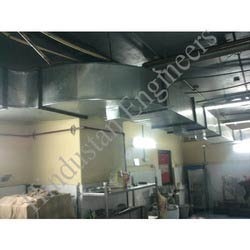 We are well established manufacturers and suppliers of a qualitative range of Spot Cooling System. These are available in numerous specifications and cater to the different requirements of various industries. Backed by our in-depth industry expertise, we offer a quality range of Spot Cooling System to our clients. These spot cooling offer an easy and effective method of cooling over heated areas within a larger area as opposed to providing general cooling. Looking for Spot Cooling System ?